CapitaLand’s serviced residence unit, The Ascott Limited (Ascott) – the world’s largest international serviced residence owner-operator, has entered into a strategic partnership with Quest Serviced Apartments (Quest) – the largest serviced apartment provider with 112 properties in Australia. Ascott expects to invest up to AUD500 million (S$560 million) to acquire new properties that Quest will secure for its franchise in Australia over the next five years. Ascott will have a right of first refusal to acquire the properties sourced by Quest. 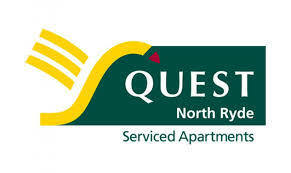 Quest will then provide a lease for the properties, which will be operated under franchises using the Quest brand. In addition, Ascott has signed an agreement to acquire a 20% stake in Quest for AUD28.8 million (S$32.3 million). As part of the agreement, Ascott has the option to increase its stake in Quest to 30%. In a separate agreement, Ascott’s real estate investment trust, Ascott Residence Trust (Ascott Reit), will acquire three operating serviced residences in Greater Sydney from Quest for AUD83.0 million (approximately S$93.0 million). These are Ascott Reit’s maiden acquisitions in New South Wales. Ascott Reit will receive fixed rent by taking over the leases for the three serviced residences – Quest Sydney Olympic Park, Quest Campbelltown and Quest Mascot – and they will continue to be operated under franchises using the Quest brand.